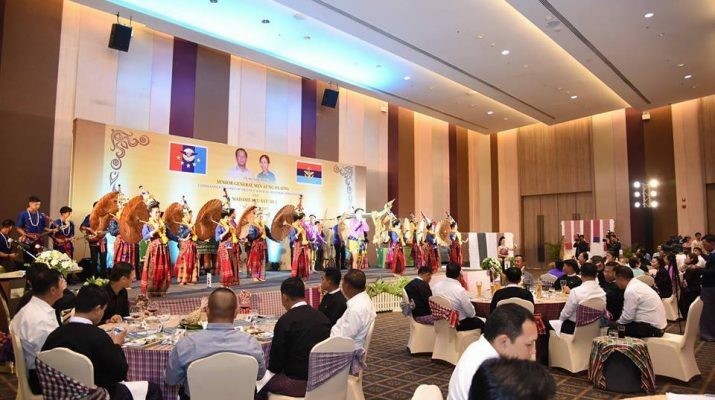 Chief of Defence Forces of Royal Thai Armed Forces Gen. Surapong Suwana-adth hosted a dinner in honour of the Myanmar Tatmadaw goodwill delegation led by Commander-in-Chief of Defence Services Senior General Min Aung Hlaing, who attended the 5th Thailand-Myanmar High Level Committee Meeting at AVANI Khon Kaen Hotel & Convention Centre this evening. 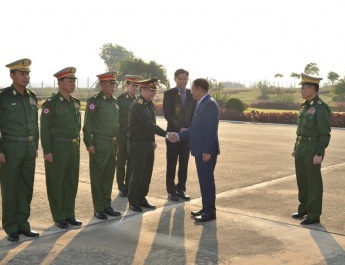 Also present at the dinner together with the Senior General were his wife Daw Kyu Kyu Hla, senior military officers of the Office of Commander-in-Chief and Myanmar Military Attaché (Army, Navy and Air) Brig-Gen Khin Zaw. 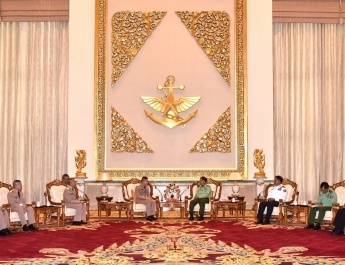 The Thai Chief of Defence Forces was accompanied by his wife Mrs. Vanvimol, Vice Chief of Defence Forces Gen. Theppong Tippayachan and wife and senior officers of the Royal Thai Armed Forces. First, the Thai Chief of Defence Forces and wife greeted the Senior General and wife and they posed for a group photo. 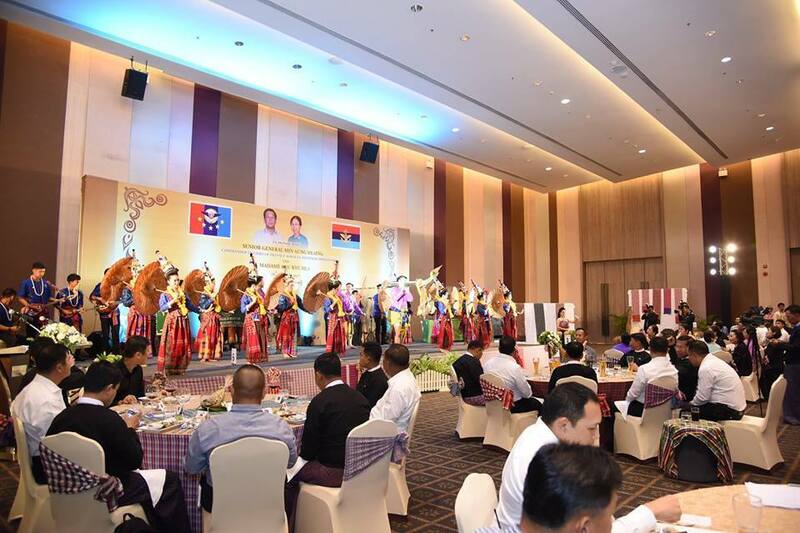 They then enjoyed the dinner, during which a traditional music band from the northeastern part of Thailand played traditional songs together with dances. 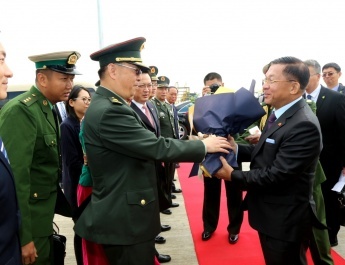 After the dinner, the two chiefs of armed forces and their wives exchanged gifts. They then had a documentary photo taken together with the music band and the Senior General and wife presented cash award to them.